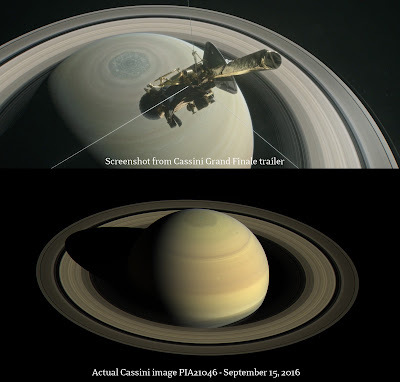 Illustration from the Cassini Grand Finale trailer. I legit teared up a little at the end. 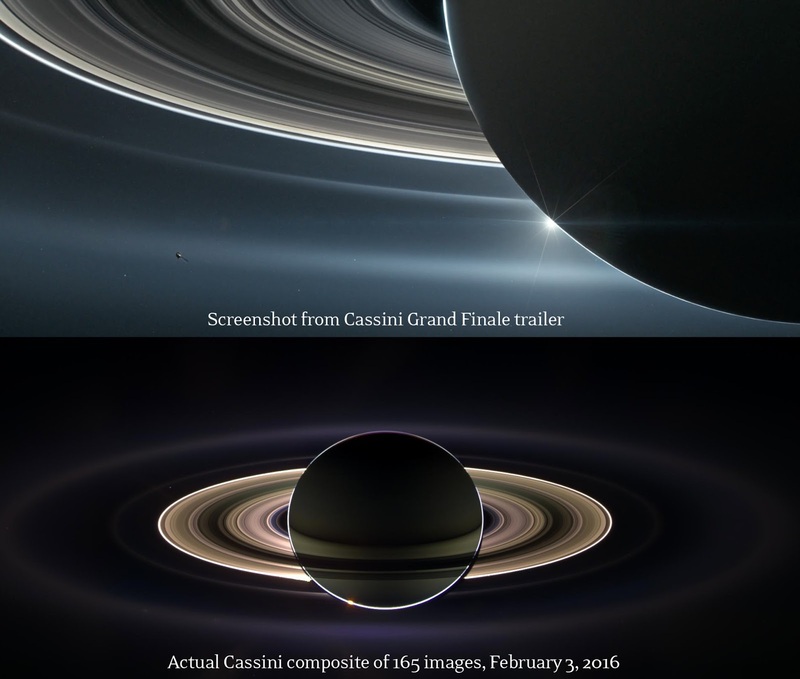 After 20 years in space, Cassini deserves this cinema quality teaser trailer for its upcoming 'Grand Finale' death dive into the gas giant (oops, spoiler alert). Cassini is one of my favorite missions, especially because of the quality and abundance of images that are being sent back. I didn't really get into space or the night sky until after Cassini was well on it's way to the outer solar system, so I can't really remember a time when we didn't have Cassini images. The images in the video are obviously computer generated, but they are easily recognizable and they feel very familiar because they are based on actual Cassini photos, so they are at least science-adjacent and seemingly real-ish. In fact, some of the images have direct connections to actual famous Cassini photos from the Hall of Fame. Let's watch! Go HD and full screen! Illustration from the trailer vs. an actual photo of Titan with it's iconic "smoggy, golden murk"
If you're wondering, here is my best photo of Saturn that I took with my iPhone through my Meade refractor telescope. 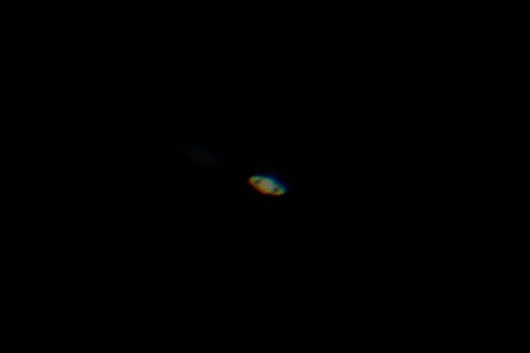 I recorded a short video through the eyepiece and stacked it in Registax to clean up the image.